Notes: Map G.S.C.S. No. 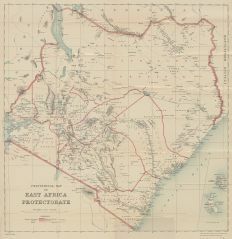 2542; from book # 2142 "The Land of Zinj, being an account of Brithish East Africa, its ancient history and present inhabitants"